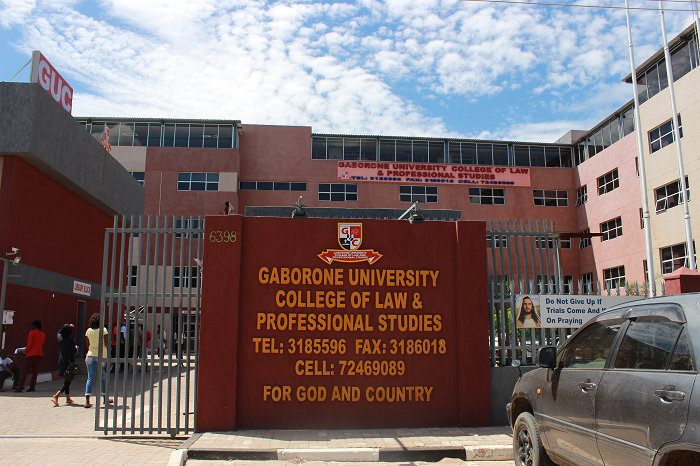 A warm welcome to the Gaborone University College of Law and Professional Studies (GUC) which is a privately owned tertiary education institution in Botswana. We offer a wide range of BQA-accredited and internationally recognized programmes to suit the career needs of our graduates, and also to support the human capital development initiatives of the Government of Botswana. Incepted in 2006, we have witnessed an astounding growth since then; now we have seven campuses across Botswana. We offer a multitude of multi-disciplinary programmes at masters, degree, diploma, and certificate levels. This is the only College in Botswana that offers opportunity to study the discipline of Law at Certificate and Diploma levels. We also offer vocational training programmes in several areas such as Engineering, Construction, Agriculture and the like. These programmes are tailor-made to enable individual students acquire hands on skills in our state-of-the art workshops under the supervision and support of experienced instructors. All our programmes are carefully selected to meet the needs of industry and commerce in Botswana as well as the future entrepreneurs who may wish to start their own business or be self-employed anywhere in the world. Our strategic partnership with internationally recognized institutions in the region helps us to benchmark our programmes and continuously improve them to match with the changing needs of employment market. We deliver our programmes by full-time, part-time and distance learning delivery modes; students can choose the mode suitable to their contexts and convenience. Working people may enrol in our part-time and distance education programmes without leaving their workplaces. We provide individual attention to students through small class sizes, tutorial sessions and one-on-one student support mechanisms. For those who are looking for new career opportunities or seeking ways to hone their skills at work, GUC is undoubtedly their best choice. 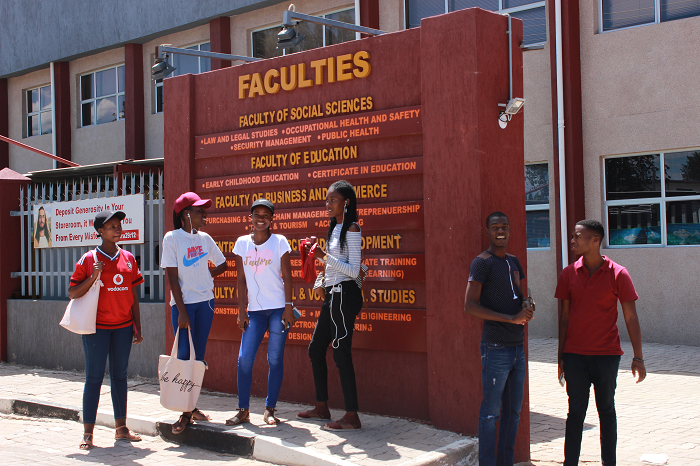 We assist students in selecting the best programme for them based on their interest, ability and employment prospects. We have an open door policy. We will be available to talk to you, and to listen to any suggestions or grievances in order to make GUC a conducive learning environment, provide you with excellent learning experiences and to make GUC your dream school. Thank you all for visiting our site. The college was established in 2006 with a staff complement of three Lecturers and two administration staff. It opened it’s doors with a total of 40 students all specializing in Law. Within a short period the Certification in Law course was accredited by Botswana Training Authority (BOTA). In 2008 several business courses were also accredited. August 2008 marked a historic graduation ceremony on which the first batch of thirteen (13) students graduated with certification in law. The ceremony was officiated by his Excellency Sir Ketumile Masire Former President of the Republic of Botswana. 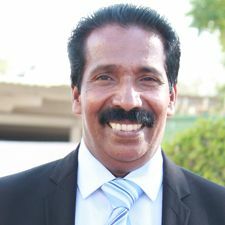 In the same year the college experienced rapid growth such that in 2009, ninety two (92) students graduated with certificates from the various disciplines which were accredited the previous year. The 2009 Graduation ceremony was officiated by the Vice chancellor of Midlands state University of Zimbabwe, Prof Bhebhe who also officially signed the Memorandum of Association between MSU and GUC on the same occasion. The college conducted its third graduation ceremony in 2010. The function was officiated by the Honourable Minister of Labour and Home Affairs and 250 students graduated on the occasion. The fourth group of the students graduated in August 2011. The function was officiated by the Honourable Assistant Minister of Education Mr Patrick Masimolole and 400 students graduated at the ceremony. We conducted our fifth graduation Ceremony on the 1st of September 2012, the function was officiated by the honorable Deputy Permanent Secretary of the Office of the Preside Dr Jeff Ramsay and 515 students graduated during this function. Our sixth graduation was conducted on the 25th of October 2013 and the function was officiated by the Honorable Chief State COunsel – Mr Mookamedi Morwaagole. During this occasion 750 students graduated. Seventh Graduation ceremony of GUC was conducted on the 14th November 2014 and the function was officiated by the Minister of Health Dr Alfred Madigele, 875 students graduated in the function. The eighth Graduation was conducted on the 24th September 2015 and the Honorable minister of Education Dr Unity Dow officiated the ceremony. In 2016 we conducted our ninth graduation ceremony over 1000 students graduated and function was officiated by Hon. Minister of Education Dr Alfred Madigela.